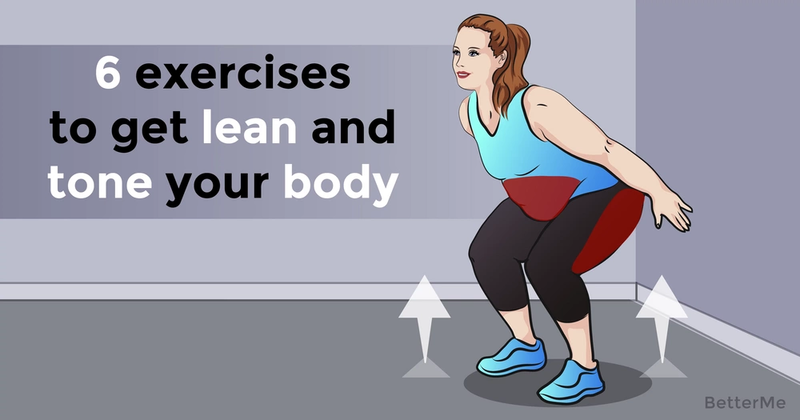 Getting fit seems attractive and easy, if you look at it from your cozy chair in front of your computer. When it comes to working out yourself, you come to the realization that nothing is as easy as it seems. Yet, despite all the difficulties, more and more people are deciding to devote themselves to work out and succeed no matter what. It is only natural to wish for a perfect body when everyone around you is talking about it, or even working on it. But, it is always difficult to start, especially if you have never worked out before. Even after you start working out, you may notice that your results are not as dramatic as has been promised, or that there are no results at all. It happens, pretty often, so do not fall into despair. The thing is that these countless plans on the web are specially designed for someone specific, and what are the chances that you are just exactly like that someone. That is why you should know about exercises which are a 100% win, no matter who tries them. So we have gathered 6 main exercises to help you tone your whole body, in no time. It may sound quite ridiculous, since you have tried workout routines involving dozens of exercises, with no effect. Well, that is the thing, if you knew what to pay attention to in the first place, you could have had a perfect body of your own. So enough talking – let’s get to work! #4. Leg Balance Lunge with Fitness Ball. #5. Squat With Side Leg Lift.